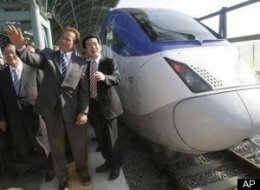 In the US, too, HST promoters argue that the country has fallen behind even underdeveloped countries in terms of infrastructure, and that building HSTs creates jobs and increases productivity. At the Oslo Architecture Triennale last month, we discussed whether architects could influence this major infrastructure decision – or must they wait passively until there are stations and bridges to design? My take is that ‘high speed railways, yes or no?’ is a second order question. First order questions concern the kind of society Norway [or California) aspires to become in the decades ahead. In the case of HSTs, three first order questions stand out in particular: do the true system-wide costs of an HST network justify the investment? Is it sustainable to spend energy on the compression of space and time? And, is it really just empty space out there? As I’ve written elsewhere modern mobility comes with a price – but the price tag is not visible, and we travelers don’t pay it. But the biosphere does pay – in the form of impacts and emissions that it absorbs from mobility, but which not measured and are not charged to travellers. We know this to be true because it’s happened before. The development of the US Interstate Highway System is a case in point. Its growth changed fundamental relationships between time, cost, and space. These, in turn, enabled forms of economic development that have proved devastating to the biosphere and to society. It is probably true that HST would facilitate another wave of productivity-driven economic growth – but if that pattern of growth is ecocidal, is it the right path to follow? At face value, the argument for a Norwegian HST network is strong. 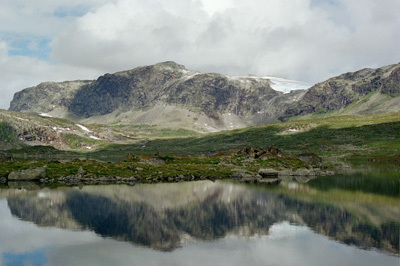 The route between Bergen in Western Norway and Oslo,for example, is one of the most trafficked short-distance routes in Europe. It takes two flights an hour in each direction to carry over five million passengers a year – and the country’s population is just 4.7m. But when so-called True Cost Economics are applied to HST, the proposition that high-speed trains are environmentally far more friendly than cars and aircraft loses credibility. A December 2009 Swiss study of the Carbon Footprint of High-Speed railway infrastructure concluded that one passenger kilometer on Europe’s high speed rail network is linked with 6.3 g CO2 from the traffic infrastructure alone. Another research group, this one at UC Berkeley, has measured the vast amounts of environmentally-intensive materials that are needed to build an HST infrastructure. The Berkely team analysed hundreds of life-cycle processes – from construction equipment [for example, emissions from bulldozers, dump trucks, excavators, and frontloaders] to the supply chain effects of producing the the concrete and steel needed to construct hundreds of miles of track and stations. These immense resource flows were also studied by the Swiss research consortium [they were working for the The International Union of Railways (UIC)]. Reporting at the end of 2009, the UIC group assesed more than 40 modules of the rail track system: tunnel, viaducts, bridges, the track itself, energy and signalization equipment. Prices really soar when an HST requires bridges, tunnels and winding mountain routes to cover difficult terrain. On the flat run from Madrid to Seville the bridge-and-tunnel share is only 3.8 percent – but on the line between Wurzburg and Hanover the share is 37 percent. In Norway, with its mountainous topography, the resource costs and carbon footprint of its tracks would surely be astronomical. • space: land is a finite resource, but we consume it as if it were limitless – especially for mobility. Space has to be consumed in large quantities to provide the infrastructure for high speed travel – just as it does for new motorways and airports. John Whitelegg, a transport ecologist, found that in Switzerland the land allocation for ground transport is 113 m2 per person – compared to 20-25 m2 per person for all houses and gardens. • energy supply: even if high-speed travel were not a climate change or social problem, high entropy transport systems depends on finite energy sources. Whether oil and gas are at a peak, or on a plateau, can be debated – but they are finite, and no commercially viable renewable alternative offers the same volume and performance. How resilient is that? 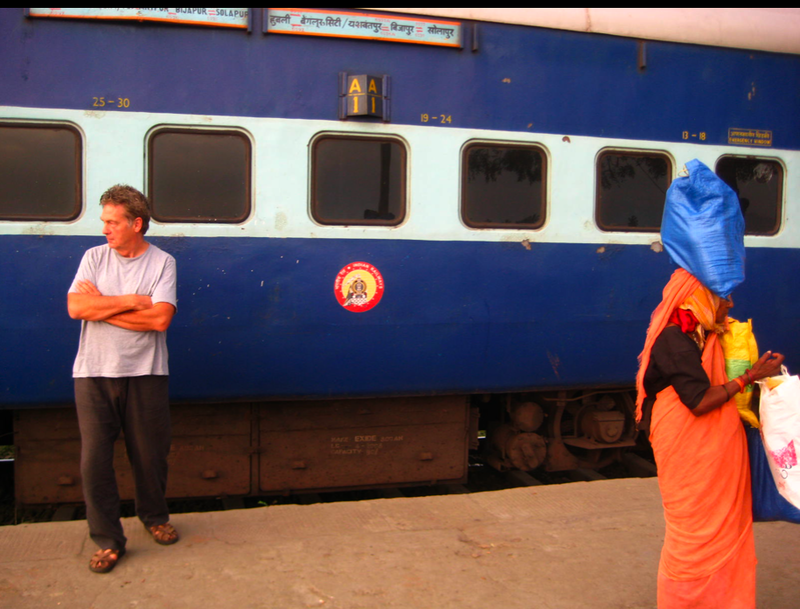 • first mile / last-mile: Before a passenger boards a train, she has to get to the station using other means of transportation – the so-called ‘first mile’ element. And HST stations are rarely the end-point of her trip; more infra is needed to complete the ‘last mile’. • infrastructure of stations and parking: Many HST stations are multi-modal hubs; these entail complex and energy-intensive walkways, doors, escalators, lifts and the like to connect with local public transport and parking lots. HST terminals and stations also contain shopping malls, restaurants and other service centers not linked with the core service of transporting passengers. • security costs: enormous and growing material and human resources must be deployed to try and reduce the vulnerabilities of these complex systems to malfunctioning or attack. Although time-savings provide the principal economic justification for HST schemes, the expansion of these networks does not, in the long run, give people more free time. On the contrary: We spend the same amount of time travelling today as we did 50 years ago – but we use that time to travel longer distances. The fundamental problem with the HST is not that it burns too much of the wrong kind of fuel. The problem is that – like the interstate highway systems that came before – it perpetuates patterns of land use, transport intensity, and the separation of functions in space and time, that render the whole way we live unsupportable. Something similar happened in Norway before. When oil was first discovered in1969, it spawned a generation of sprawling development. The suburbanisation of Jæren swallowed numberless small, rural conglomerations. 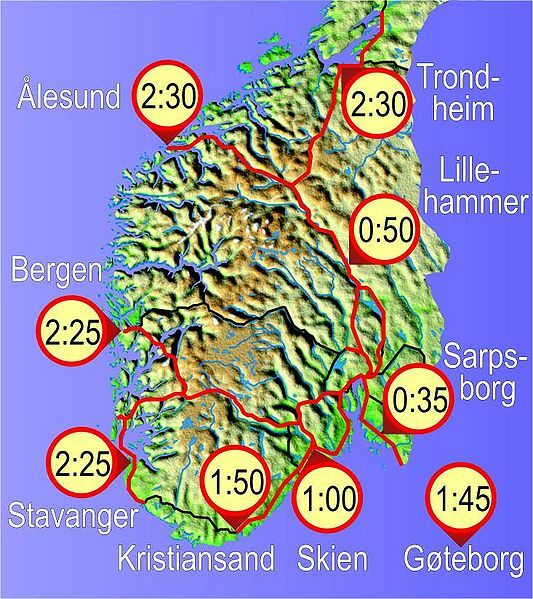 ‘Oilville’ now stretches more or less continuously from Stavanger in the north to Egersund in the south. Are there new ways to think about the space-time geography of Norway – to re-imagine its wide spaces and long distances as assets rather than as obstacles to be overcome? Space, like oil is a finite resource. Worldwide, space is at a premium. Norway has lots of space; this makes her rich. So why try to compress this valuable national resource? why try to make it smaller? 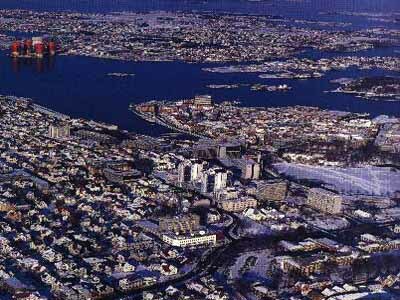 In Oslo, we discussed whether to think of Norway as a mosaic of semi-autonomous zones. Could so-called ‘peripheral’ cities be reconceived as new centres in their own right? By re-examining what makes makes the regions of Norway distinctive, could new forms of value be discovered as the basis for establishing settlements? Shortly after the Oslo Triennale ended, a Natural Capital Action Plan [NCAP] was endorsed n Tokyo by major players such as China, India, Brazil and several EU nations. An International Commission on Land Use Change and Ecosystems has developed a framework ‘natural capital accounts’ that place financial values on components of the natural world such as undeveloped land, woodland, rivers and marshes. The new framework is based on a three year UN study of The Economics of Ecosystems and Biodiversity (TEEB). This found that the global economy is losing more money from the disappearance of forests, alone – – $2-5 trillion per year – than through the banking crisis. Back in 2008, when I first wrote about TEEB it was hard to interest people in climate change economics. But change is all about timing and tipping points. Although Gross Domestic Product (GDP) has been the dominant measure of economic performance for generations, the movement to measure progress in new ways – that that take account of natural resources and ecosystems – is rapidly gaining momentum. TEEB places top-down question mark on the assumption that the word is full of empty space that we can fill, at will, with things like HSTs. As we learn at ground level, too, that empty space is not empty after all, it follows that many ‘clean’ transport or energy systems are not inherently clean at all, but only somewhat less dirty than the fossil fuelled systemsthey are purported to replace. Bruce Pavlik, for example, author of The California Deserts: An Ecological Rediscovery has warned that, if we’re not careful a rush to produce green energy could do irrevocable damage to some fragile California ecosystems. “California’s desert lands are in some ways a perfect fit with the renewable energy industries necessary to combat climate change” Pavlik writes; “There’s sun. There’s wind. There’s space. But the biologically rich but arid desert ecosystems are remarkably fragile”. Once topsoil and plant life have been disrupted for the placement of solar arrays, wind farms, power plants, transmission lines, and CO2 scrubbers, restoration would be cost-prohibitive, if not technically impossible – and in any case can take 100 years or more. Pavlik cautions that widespread desert construction, even of projects aimed at environmental mitigation, “would devastate the very organisms and ecosystems best able to adjust to a warming world”. In the Nordic countries, too, I learned in Oslo, some pioneering designers are already sensitive to the hidden value in ’empty’ land. by Peder Agger and Jesper Brandt titled The dynamics of small biotopes in Danish agricultural landscapes. Hedges, roadside verges, drainage ditches, small brooks, bogs, marl pits, natural ponds, thickets, prehistoric barrows and other small uncultivated areas laying within and between the fields in the Danish terminology are named ‘small biotopes’ – the smallest unit to be studied in the landscape. Inspired by the discovery of these often-tiny biotopes, Dahl and his colleagues launched a research programme to explore Appearing and Disappearing Landscapes:The Dynamics of Small Cultures. One researcher, Alex Walls, explained that the goal is “to design with flows of regional water, plants, animals. We want to combine people, goods, buildings and information to create a new city that is part of nature”. The new thinking is that cities and city-regions need to re-conceive themselves as elements of a bioregion – as a specific form of Nature which embeds itself as much as possible in natural cycles, and in which human settlements co-exist with, and are wholly dependent on, natural systems as well as human communities. 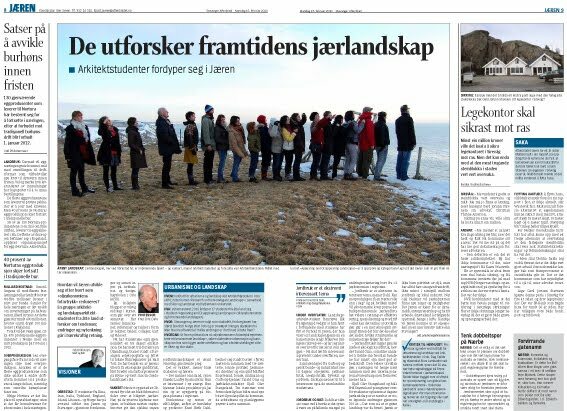 One of our speakers in Oslo, Allen Berger [author of Drosscape] was one of the invited experts in the first Jæren research. He made the point that “systemic is systemic; once one begins researching a single system it inevitably bleeds into other systems that cross-pollinate and hybridize even more systems, until dynamic feedback occurs”. Some enlightened cities, such as Toronto, have already started to put the interests of these natural assets ahead of traditional planning priorities such as transportation infrastructures. The practical way to achieve this re-ordering of priorities is to put foodsheds, and watersheds at the top of the agenda. In design terms, this leads to a focus on “reactivating the existing” – adapting and enhancing what’s already there rather than continue to accelerate capital and resource intensity.Alex Walls, in Norway, calls this approach “dirty” sustainability” – low cost, hands on solutions rather than high tech answers. In policy-speak, this approach is about the creation of adaptive resilience in natural, human and technological ecologies. The focus, here, is on decentralized and low entropy solutions. I asked, at the top, which country – Norway, or India – has the most advanced and resilient infrastructure? My conclusion, which I guess is not well-hidden in the above, is that high-speed, high-entropy transportation systems take a country back to the past. They are not the way of the future. 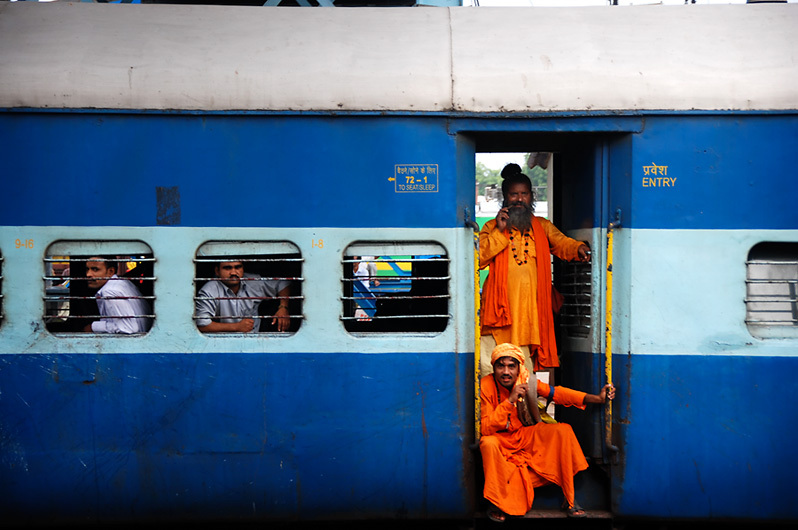 This is not to deny that there are many ways in which use of existing infra, such as India’s amazing train network – or, for that matter, the trip from Oslo to Stavanger – can be enhanced. But I’ll return to those in a later post. This entry was posted in mobility & design, most read. Bookmark the permalink. Trackbacks are closed, but you can post a comment.